A new book examines the cult of the Virgin. Mary, that is. By studying the different ways in which Mary was described, hymned and painted in medieval Italy, one can also describe Europe's beginnings as a great political and commercial enterprise. Her absence was a defining feature of the colder, more rational world that emerged in the Protestant north. And in the colonial era, above all in Latin America, she metamorphosed seamlessly from conquerors' champion to helper of the oppressed-long before any of the founders of modern literary theory had come up with fancy ideas about shifting metaphors and "floating signifiers". The official adoption of Mary as a crucial part of Christian doctrine did a lot to define the nature of Christian divinity generally; what had been the subject of debate was now set in stone. "Once this principle had been established, every deviation from it, every current of thought that called into question the double nature-divine and human-of Christ, could be presented as a direct insult to his mother; and theological arguments duly became more personal." 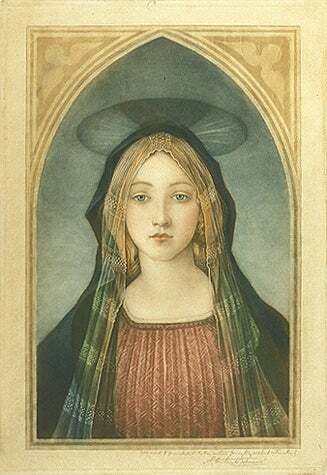 Mary, then, was central not merely to defining early Christianity and crystallizing the philosophical divides between East and West but to its evolution; through observing society's relationship to the central figure of the virgin, Rubin is able to explore the Church - and by extension, much of history - as a whole.